Trumbo was served a subpoena to appear before the House Un-American Activities Committee (HUAC) on September 18, 1947; he faced the committee in October 1947. In his letter to his wife Cleo, Trumbo shares his thoughts on his experience before the committee and its aftermath. 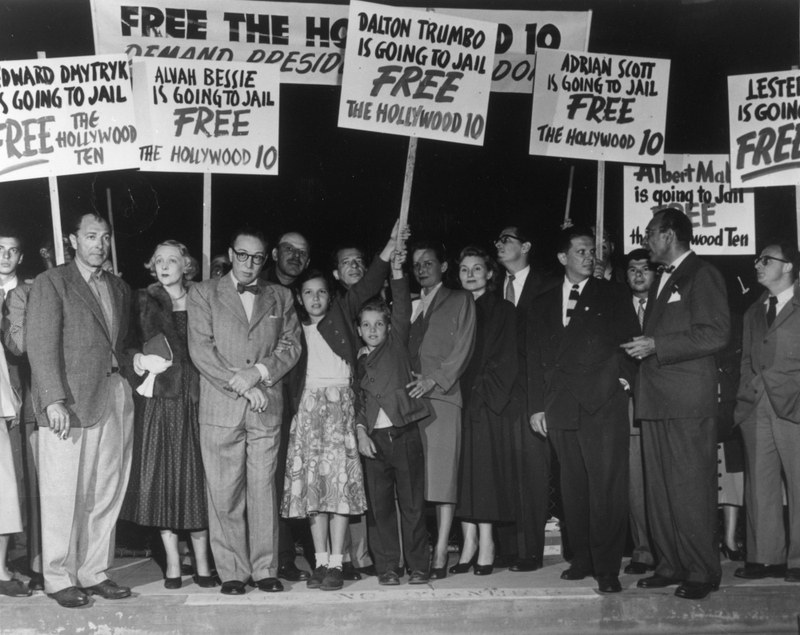 In a letter to one of his lawyers, Charlie Katz, Trumbo argued that because he voted in California, the court in Washington, D.C. had no jurisdiction over him. The notes Trumbo prepared before he appeared before the committee, a draft of his statement before the committee, and the statement he gave when he was sentenced are included here. To listen to Trumbo’s full testimony before the HUAC committee, please go to the Audio Recordings page of the exhibit. The WCFTR provides the information contained in this collection for non-commercial, personal, or research use only. Any other use, including but not limited to commercial or scholarly reproductions, redistribution, publication or transmission, whether by electronic means or otherwise, without prior written permission of the copyright holder is strictly prohibited.